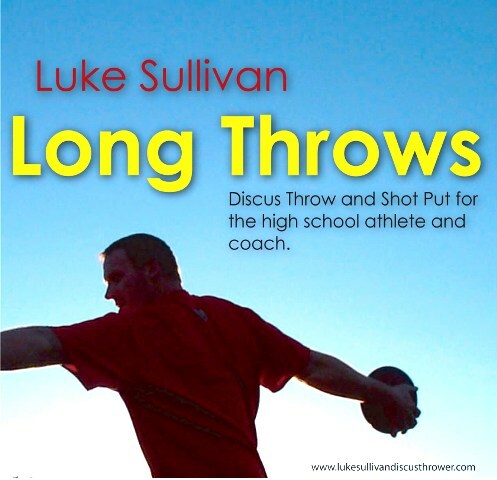 Sign-ups for Luke Sullivan's All-American Throws Clinic are now available. This is the 9th annual clinic and Madison Throws Club is excited to see Luke back in town to share his extensive knowledge with throwers in Wisconsin. Sign up now to reserve the session you want. Thought I would get this out before the start of the Wiscsonsin High School season. Sorry for you lucky throwers to have an early start, we have to wait until the the second week of March to start practice. This years ROTATIONAL Throws Shoe Review is focused on Throws specifically made for Rotational events .... Rotational Shot Put, Discus, or Hammer. I did my best at breaking down what I know about whats available by talking to everyone I see in throws shoes about how they like them. Remember when it comes down to it if they don't feel comfortable - they are not for you. 1. Throwing shoes should fit like a glove. Sloppy shoes make for sloppy feet in the circle. Parents don't buy throws shoes big in an effort to allow your kids to grow into them. 2. If you glide for shot put it may be easier to by a glide shoe and rotate in it for discus than it will be to glide in rotational shoes. Please refer to last years Shoes for Gliders. 3. Nike Zoom Rotational are probably the fastest rotational shoes in terms of how they hold the ground. If you are beginning to rotate this year perhaps you get something with a little bit more control and work up to the Nike. 4. Rain can wreak havoc on spinners...keep your old glide shoes in your bag, they might be perfect to rotate in at that rainy meet that means a lot to you. I hope this helps. Choose wisely. Ryan Crouser shows great technique for a high school thrower. The rotational shot put is all about rhythm. Great analysis and break down of his form by Mac Wilkins. Ryan Crouser’s Herculean performances in the shot put where he’s headed in 2011 and beyond. Could he be the next big thing in U.S. Shot Put and Track and Field for that matter? He is rotating for the first time this year as a Senior at Barlow High School in Oregon. As you watch the video he is incredibly controlled and balanced. I believe he will continue to get faster as he becomes more confident with what he is doing rotationally. Crouser employed spin technique for the first time in competition at Boise State, throwing U.S. #2 all-time 73-1 with the 12-pound high school shot in January at the New Balance West Invitational. He destroyed the U.S. high school indoor record with the 16-pound implement, throwing 63-11 to better the record by more than three feet. That mark, moved him to No. 2 all-time, behind Michael Carter, who threw 67-9 outdoors 32 years ago. If he was in college, it would have landed him an NCAA auto qualifier. “I think it’s a really good starting point,” Crouser said. “I didn’t get anything too crazy or that will be tough to get again, but throwing with the 16 was solid.” Crouser will focus on the 12-pound high school shot put and his goal is clear: Carter’s 1979 high school record of 81-3. “I’m thinking by the end of outdoors (season), I’ll try to get Carter’s record,” the University of Texas recruit said. Crouser’s improvement comes in spite of rehabbing a broken foot last summer. He focused on weight lifting, conditioning and technique – and all of that work is evident in his performances in Boise. He has also grown to 6-feet-7 inches, 240 pounds. That’s up 20 pounds from where he was last spring.